People who feed wild birds are good people. 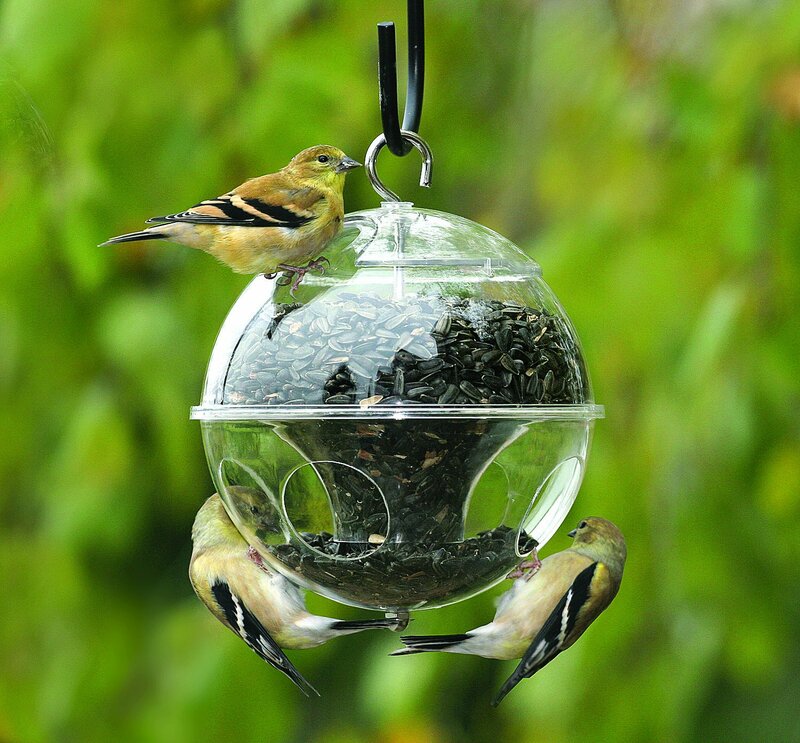 Have you ever known someone who goes to the trouble to put up a bird feeder in the back yard, and regularly goes out to let down the feeder, or to climb up on a ladder, and add more birdseed, who was not a good person? This is the kind of person who, when you go to their house, hugs you and makes you feel completely welcome, and probably gives you something good to eat, and insists you come out back and look at all the birds that have come in to the feeders. You go along, even though you are in a hurry and are not that interested, and when you get out to the yard, your attention focuses more on this person, because of their enthusiasm and excitement for the wild birds, rather than on the birds themselves. You probably know this person. You may be this person. On a separate note, Scotts Miracle-Gro pleaded guilty last week to illegally applying insecticides to their bird feed that kills birds. 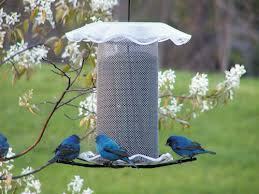 Senior executives at Scotts Miracle-Gro knew that their bird feed killed birds, but they continued to sell it anyway. They sold 70 million units of toxic bird feed over a two year period before they were forced by the federal government to discontinue the product. Additionally, Scotts Miracle-Gro pleaded guilty to falsifying pesticide registration documents on a wide range of other products, distributing pesticides with misleading and unapproved labels, and distributing unregistered pesticides. Scotts Miracle Gro has been sentenced to pay $12.5 million in fines for illegally selling this toxic bird seed, as well as other criminal violations involving their pesticides. Why Would Scotts Miracle-Gro Intentionally Poison Birds? Scotts Miracle-Gro added the illegal insecticides to their bird feed to prevent insects from eating the feed in Scotts’ warehouses. Scotts Miracle-Gro intentionally poisoned their feed simply to prevent a small amount of potential product loss due to insects. The insecticides Scotts Miracle-Gro applied to the bird feed are called Actellic 5E and Storicide II, and they are prohibited by the EPA. Scotts admits that they were aware that Storicide II is “extremely toxic to birds, fish, and other wild game,” and still they used it anyway. Not only did Scotts Miracle-Gro sell wild bird feed tainted with bird-killing insecticides, they were also found guilty of submitting false documents to the EPA and state regulatory agencies to deceive the agencies into believing that numerous insecticides were registered with the EPA, when they were not. Further, Scotts Miracle-Gro also pleaded guilty to selling unregistered pesticides and for marketing pesticides bearing labels that were false and misleading. These additional violations are not about bird feed, but about products for the lawn and garden. Scotts Miracle-Gro has been forced to discontinue or recall more than 40 product lines and more than 100 different pesticides. The $12.5 million fine is the largest criminal penalty issued to date for the illegal use of an insecticide or pesticide. However, for a company the size of Scotts Miracle-Gro, it is a light slap on the wrist. There is no telling how many birds were killed by the 70 million units of poisoned feed distributed for two years across America. One bag feeds a lot of birds. The people who fed their birds with Scotts Miracle-Gro bird feed actually killed their birds. They poisoned something they love, by accident. Nothing was mentioned in the company’s public statements about those people. But we know, Scotts Miracle-Gro, that you poisoned your product on purpose. You made accidental killers out of those good people, so you could save a few dollars. Thank you, Scotts Miracle-Gro, for your commitment to your customers. We will not forget you. I would like this on the WWN. You bet! Fortunately, I have never used any Miracle-Gro products whatsoever. This accidental poisoning by a chemical company is one of the reasons we are trying to grow our food in a completely closed system, with the minimum outside inputs possible. Thanks Barbara! Well, I’ll be damned. I use Scott’s weed and feed. Wonder if that is poisoned, too. Thanks for posting. I will forward. No more Scott’s for me. What jerks. And it was a very good product for the lawn. ORTHO Weed B Gon and Total Lawn Weed Killer are on the list of Scotts Miracle-Gro products involved in the suit. You may want to look up the full list of Scotts Miracle-Gro products that have been banned or recalled. I would not use ANY weed-and-feed products on my lawn. These products tend to kill the microbial life of the soil over time, require a lot more water for the lawn, and even though they give temporary greening, they eventually do a lot of harm to the lawn. There are many good products that build the health of the soil and lawn and do not contain any type of chemicals or poisons. A modest application of organic soil food pellets (a 7-7-2 NPK is plenty) in the spring and fall, and cutting the grass regularly during the growing season, is probably all you need to do to keep a lush, healthy lawn. Cut the grass on the tallest mower setting, not the shortest setting. A short cut shocks the grass. If possible, cut the grass when you can cut the top 25% off the blade–that stimulates grass growth and greening more than fertizling it does. When mowing, leave the cut up grass and leaves on the lawn, and never pick them up with mower bag. Leaving cut up grass and leaves on the lawn provides essential organic material back to the soil, and is one of the best things you can do for the lawn. Water the grass in immediately after cutting. If you follow these steps, you will spend less money and time on your lawn, you will use a lot less water, and your lawn will be more green and lush and healthy than any weed-and-feed product can produce. Thanks! Thank you for posting this and bringing attention to this disturbing story. I saw a brief piece in the news, unfortunately it will swept under the rug but hopefully not forgotten by many people. Thanks Agi! Thanks for everything you do! wonder if i have been an accidental killer. I will boycott Scotts. Thanks for sharing. Hi Pat! I remember seeing bags of Miracle-Gro bird feed in Lowes, but never bought any. For some reason, I didn’t feel comfortable buying bird feed from a chemical fertilizer/pesticide company… Thanks Pat, have a great day!